In my opinion, the Frolic quilt block lives up to its name. I think it looks like it would be fun to make, and it is. This block is made of simple shapes -- just squares and half square triangles. The only difficulty is that you must be sure to take great care with achieving an accurate 1/4" seam allowance to ensure the precision of the block. 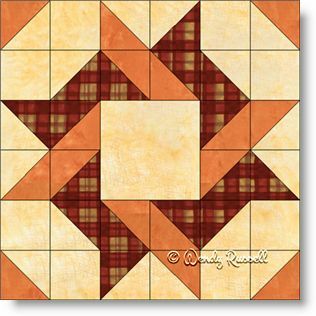 By using your imagination in deciding how to set the quilt blocks in the final layout, you can have some very different results in the final quilt.